Historic Beverly Preservation Inc. and Beverly ON TRAC are working with local partners to develop three key historic properties in Beverly. We are actively seeking investors and potential owners/entrepreneurs for these properties. Over the last several years many historic buildings in Beverly have been successfully restored and retrofitted for use as businesses, museums, and residences. By restoring these spaces and making them available for use, we are creating a close-knit community of local people who are invested in Beverly’s future. For more info on any of the properties listed here please contact the Beverly Heritage Center. The 1841 Jail is our first priority development project. The building is undergoing a multi-phase restoration, and work on the first phase is scheduled to begin early in 2018. After restoration is complete, the 1st floor of the building will be used as a multi-unit commercial space and the 2nd floor will be used as a residential space. 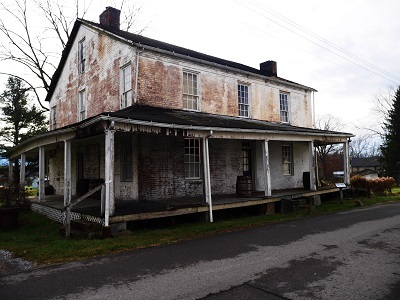 Phase 1 of the restoration project will include critical work on the masonry and roof of the building – a grant from WVSHPO has been awarded for the completion of the project and is being matched by local investors. 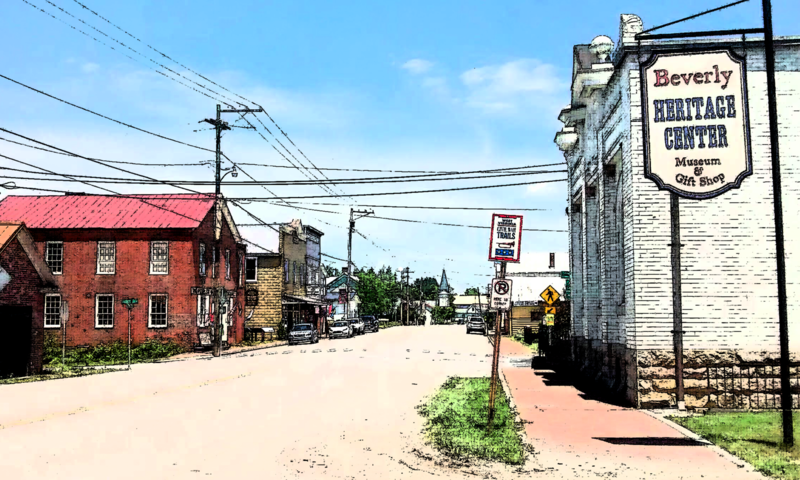 We are pursuing historic preservation tax credits to attract additional investment to the property. We are seeking potential investors to participate in this project, as well as potential retail tenants for the building once complete. Property Description: The front facade of this building is three bays wide. The large stones of the cell rooms can be seen on the sides of the building. The foundations of the building are hand-shaped stone, laid without mortar. Four large inside end chimneys serve the four rooms and four cells. The broad, heavy porch which has been added on the front (west) and north sides goes well with the substantial appearance of the building. This property features a pleasant backyard with a large black walnut tree. The Montgomery Hart / Andrew Collett House is possibly the oldest building still standing in Beverly, with a log section within it dating to the earliest settlement in our area. The building has been largely stabilized, but still needs substantial work to install systems and make the building ready for use. The upstairs could potentially be an apartment, with the downstairs as an artisan workshop or retail space. It has a large lot with plenty of potential parking. Owner Historic Beverly Preservation is open to considering a variety of development partnership options, in order to get the building into productive use while protecting the historic structure. Description: The northeast corner of this house is a two story log cabin, within the larger, clapboard covered building. Now a 5-bay 2-story house with an addition on the rear, it has an outside end chimney on the south and an interior chimney. The recessed entry shows such Federal style features as a paneled door with sidelights and transom. This house is located facing Main Street on the corner with Collett Street, across the side street from the Beverly Presbyterian Church. History: Traditionally known as Westfall Fort, the building may date as early as 1772. By 1840 this house was owned by Montgomery Hart, who had a saddle shop down the street. In 1860, “Gum” Hart traded this house to Marteny Buckey in exchange for the Buckey Hotel up the street. 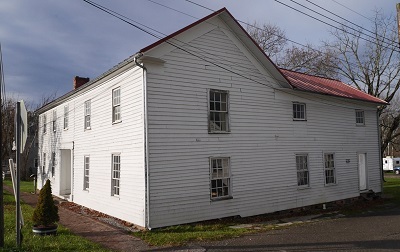 This house was also used at some time as a tavern, and during the Civil War was used as a hospital. It was bought by Andrew J. Collett in 1871 and stayed in his family until 1948. The James H. Logan House is one of the first historic homes visible on entering historic Beverly from the south. It has highly significant history, but faces several redevelopment challenges. With interior fire damage, and a location too close to the highway, the building is currently mothballed and awaiting a new future. Owner Rich Mountain Battlefield Foundation is seeking solutions for a productive use that honors the building’s past. 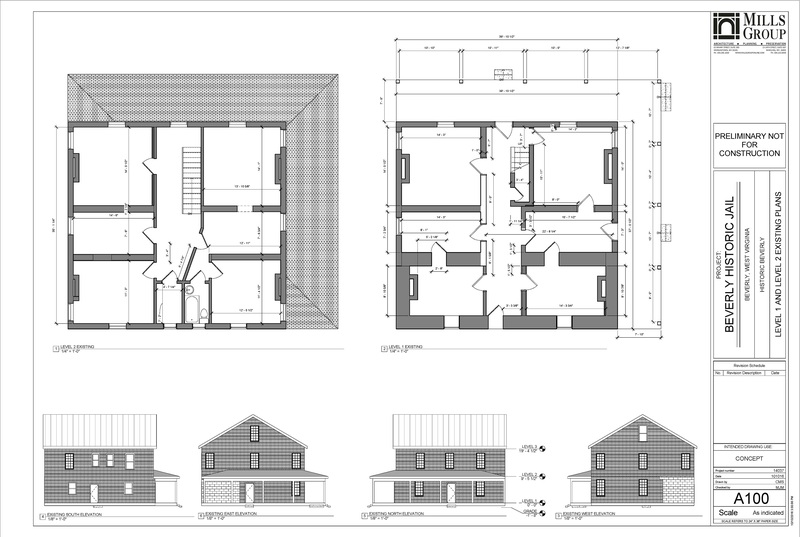 Description: A two-story frame “I” house with five bays and a back ell. It has a stone foundation and basement walls, including a stone cistern in the basement. The building is stable, although there is interior fire damage, especially in the upstairs of the ell. There have been conversations about possibly moving the building to a location farther back on the lot, away from the highway which has encroached too close to the building through the years. History: The house was built about 1840 and purchased by James H. Logan, a surveyor and teacher, in the 1850s. It is known for its use as a hospital during the Civil War and as the site of the first amputation behind Confederate lines on June 4, 1861 following the Battle of Philippi. Logan’s granddaughter Edna Scott married H. G. Kump, who was a Governor of West Virginia. They lived in this house for a couple of years while their home in Elkins was being built. 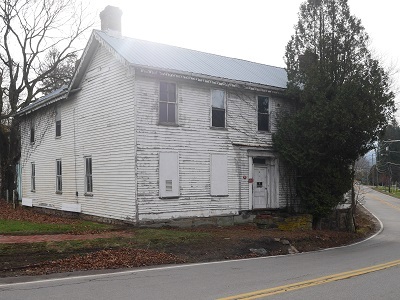 Descendants of the family donated the house to Rich Mountain Battlefield Foundation following the 1996 fire, in hopes that the building could be preserved and used for an educational or historic purpose.